Create a cozy feeling throughout your business with the selection from A To Z Flooring America. At our local carpet store in Enid, OK, we carry top products at competitive prices for clients throughout the area. Whether you are looking for something new in your lobby or office, you will find everything you need when you shop at our showroom. Visit us today to start planning your new carpet installation services. Make the right first impression on your customers when you select new flooring from our showroom. The inventory at our carpet store includes endless color and style options that are sure to fit any taste preferences. From car dealerships to medical offices, we have the materials you need to create a welcoming atmosphere for your business. Once you decide on the perfect carpeting for your office, let us take care of the rest of your project for you. Our carpet installation services are designed to deliver a flawless result in every room. Whether you are upgrading one part of the office, or you are performing a remodel throughout the entire building, we are available to take on projects of any size for our clients. Without the proper installation, you will start to notice your carpet begin to ripple and cause other problems over time. We focus on the details to ensure that your commercial carpeting is placed properly. With installation services from our experienced contractors, there will be no guesswork with your carpet installation. Our team members work carefully to ensure that your space is left looking professional. Quality counts. When you are shopping for new flooring materials for your business, it is important to select a product from a top brand. Because we only stock materials from the leading manufacturers in the industry, you can count on our materials to look beautiful and hold up to regular use for many years to come. With our products, you can focus on running your company without worrying about caring for your flooring. 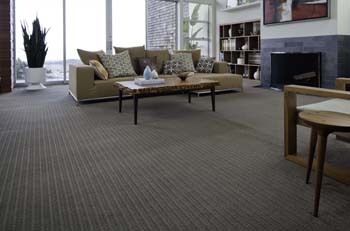 Contact us in Enid, Oklahoma, to learn about our selection of commercial carpet. We offer products for businesses throughout the area.